The article below will explain the process for enabling Multi-Factor Authentication for MSP/Reseller accounts. 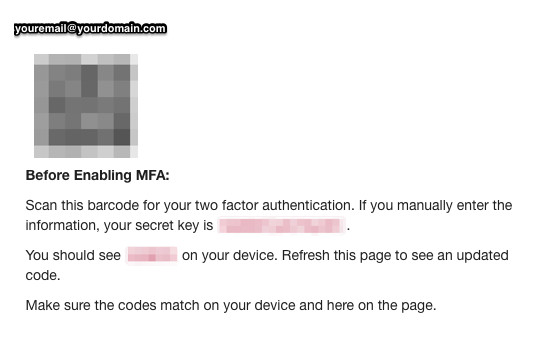 If you're not an MSP/Reseller, please check out our Two-Factor or Multi-Factor Authentication article to enable authentication for standard accounts. Enabling multi-factor authentication (MFA) or two-factor authentication (2FA) on your MSP/Reseller account will require an additional identity verification step at the time you log in. Once configured and enabled for an account, our system will require the use of an authentication code generated by an authenticator application each time you log in to your account. Reseller account owners and admins can set this up for themselves, or as an alternative, reseller account owners may set this up for each reseller admin. If you are using a single sign-on (SSO) login method, this feature is not applicable–your SSO application will authenticate instead. 1. Ensure you have downloaded an Authenticator application on your smartphone. Possible apps include Google Authenticator, Authy, and LastPass, among others. 2. To enable two-factor authentication in your account, simply click on your email address in the top-right of the screen, then click on “Profile”. Manually enter the unique “secret key” provided beneath the barcode. 4. 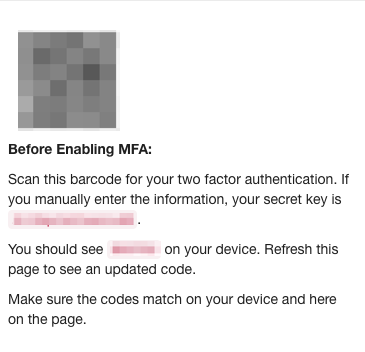 Once you’ve completed Step 3, click the MFA Enabled checkbox on the bottom of your Profile page. Then click on the “Update Profile” button. Now, you'll be prompted to enter an authentication code from your authenticator application on your smartphone each time you log in to your account. 1. Ensure your reseller admin has downloaded an authenticator application on their smartphone. Possible apps include Google Authenticator, Authy, and LastPass, among others. 2. 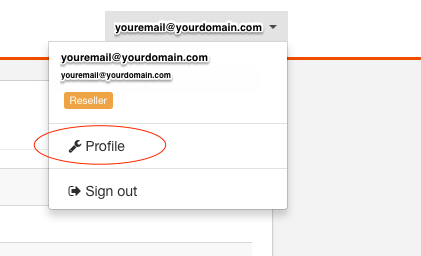 To enable 2FA in your reseller admin’s account, click on the Admins tab and find the admin you would like to enable 2FA for. 3. Under the MFA column, toggle Disabled. 4. Once MFA is enabled, you must click on the link located under the Link to QR column. This link will open a Reseller Admin QR code in an additional screen. The QR code displays the admin's email address. Have them manually enter the unique “secret key” provided beneath the barcode. You cannot set up two-factor authentication at a global level. Each user must set it individually, or you can set it up for each user.